If you suffer from thinning hair, then you may have welcomed winter with open arms – the chance to pull on a hat and hide under it for 4 months. 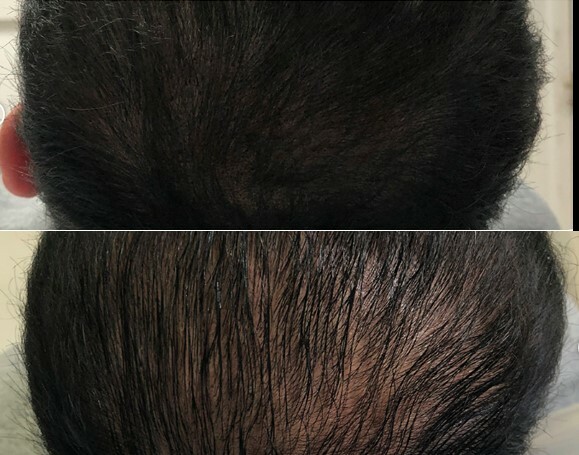 Patchy and thinning hair can be an embarrassing problem to deal with and can definitely affect your self-confidence. The problem doesn’t discriminate either, affecting 2% of the general population with both women and men being equally affected. If this sounds like you, then you might be in need of our Scalp Micropigmentation services. The process involves placing the pigment into the dermal layer of the scalp to emulate the look of a shaven head. Over several sessions, the deposits build up to give the appearance of a full head of hair. The procedure is safe, innovative and relatively pain free. Most importantly, it’s non-surgical and ideal for those who want to look good without having to go under the knife. After each treatment, thousands of tiny scabs will appear on the scalp as part of the process. These scabs will eventually fall off, leaving behind what looks like a full head of hair. So, no more pulling on the caps and hats to hide patchy, thinning hair – you can get some self-confidence back right here at Sian Dellar. Cheat your way to thick, fluttery lashes! Don’t let Male Pattern Baldness ruin your confidence! Alopecia – What Is It and How Does it Cause Hair Loss? Get Catwalk Ready with Sian Dellar! Ditch your Brow Products for Good! Is The Ultra-Skinny Brow Making A Comeback? The Secret to Sweat Proof Brows! Are you ready for the fishtail brow? The latest bonkers beauty trend to sweep Instagram! Forget Valentines Day, it’s all about Galentines Day! New Year- A Naturally Enhanced New You! A Round Up of the Brow Trends currently taking over Social Media during the Festive Season! So, you’re interested in semi-permanent make-up, but what’s the process? Forget cheesy Halloween costumes, this year it’s all about super chic make-up! Your ‘no make-up’ make-up look! The Party Season Is Fast Approaching- Are You Prepared? READ THIS BEFORE YOU TRAVEL! WHAT ARE THE PRESS SAYING? SIAN DELLAR MICROBLADING IN KUWAIT! INTERVIEWED & FEATURED ON HELLO!